singing, guitar/bass playing, drumming and dancing all in one game. (well, everything is relative) correct your pitch. only lyrics are displayed and there are no notes or scoring. 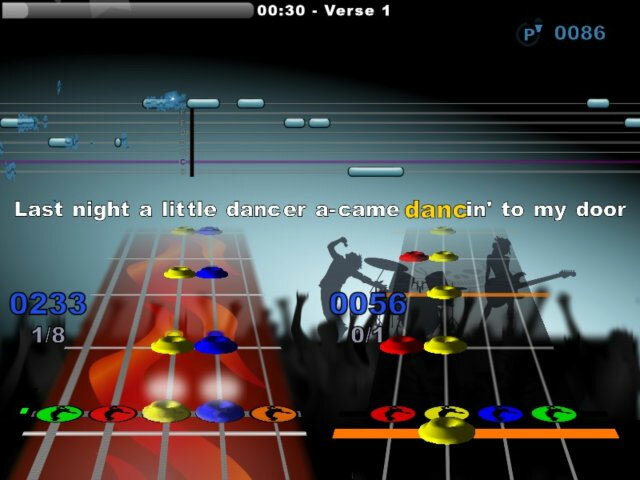 Since 0.5.0 you can use dance pad to play dance songs in StepMania format. are hit. Let the rhythm guide your feet!